Japanese flower arrangement especially for New Year’s will decorate your house gorgeously during the holiday season. 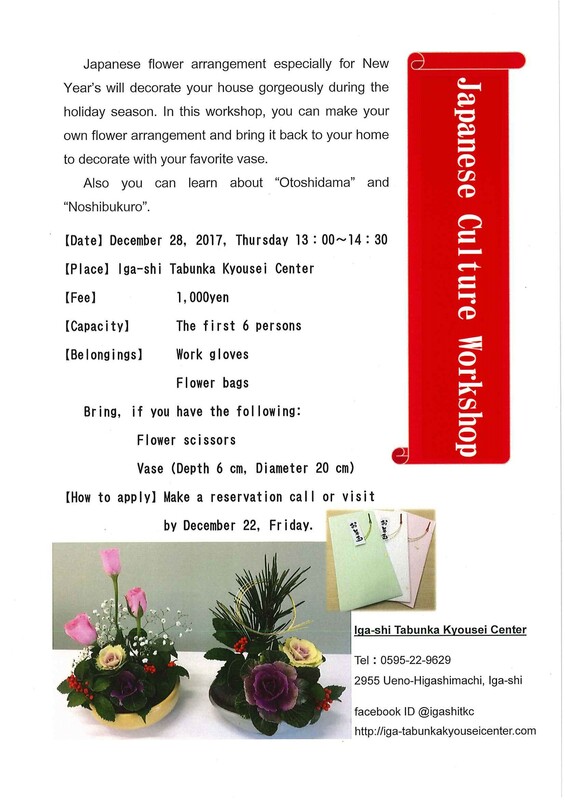 In this workshop, you can make your own flower arrangement and bring it back to your home to decorate with your favorite vase. Also you can learn about “Otoshidama” and “Noshibukuro”. 【How to apply】Make a reservation call or visit by December 22, Friday.